Launched in the year 2005, DNS Accountants began as an accountant practice created by Sumit Agarwal who was shortlisted for a practitioner of the year at the British Accountancy awards. The head office of DNS Accountants is located in London. Since its advent, DNS Accountants has reached several milestones in the field of accounting and finance backed by its highly knowledgeable team. If you need some of the best cheap contracting accountants in Wirral and nearby areas for your small business or start-up, you need not look beyond DNS. Backed by our years of experience in providing highly skilled financial services we have been providing expertContractor Accountants for small businesses in Wirral. With the excellent growth prospects, various start-ups and small businesses are thriving in the country, and our chief objective is to provide professional guidance and backing for different start-ups during the initial stages when it is most needed. We help the start-ups and small businesses develop a long-term plan based on the present market scenario and the future prospects of the market. This helps the businesses formulate their strategies keeping in mind the long-term objectives. DNS Accountants was nominated for four British Accountancy awards in 2013 and won the award for “Online Accountant of the Year”, reaffirming our status as the numero one in the sector. DNS has carved a distinct reputation in the market by providing expert accountancy, taxation, and financial services to start-ups, small business, contractors, freelancers, and individuals. Online paperwork and online accounting needs of various businesses are taken care of by DNS in a highly efficient manner. Currently, DNS offers a multitude of services for different taxation, finance and accountancy related requirements of clients, confirming our status as a leading online accounting service with each passing day. We offer a comprehensive range of year-round services ensuring utmost satisfaction of our customers. In the North West part of England, is located the Metropolitan Borough of Wirral, with a population of around 300,000. It is a bustling metropolis with considerable economic potential. The major employment in the region is provided in industries such as Energy, Construction, Financial Services and Hunting and Forestry. One of the biggest projects to come up in the recent years includes Wirral Waters by Peel holdings, which is expected to create over 27,000 jobs in the area. Due to the high economic potential presented by this region, many industries, small businesses and start-ups have come up in the area further boosting the growth in Wirral. Being a hotbed of business activities, Wirral has a huge requirement for accounting and taxation professionals. As many small firms and start-ups cannot afford premium accountancy services, they need an affordable option for their operational requirements. DNS Accountants provides cheap contractor accountants in Wirral so that all businesses can access high quality professional advice at economical prices. As already mentioned, accountancy services are highly beneficial for start-up companies and DNS strives to give the support and services to these enterprises by providing experienced Contractor Accountants for small business in Wirral. 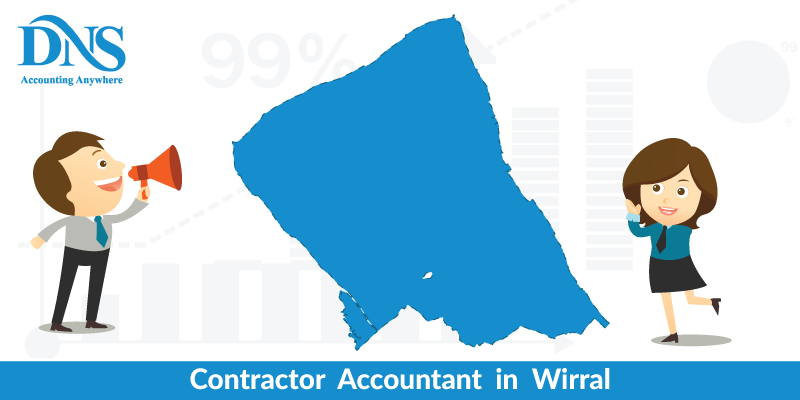 The Metropolitan borough of Wirral is an expanding and growing business hub, and thus, it has a huge demand for Contractor Accountants in Wirral. Apart from recording invoices and receipts, DNS Accountants provides a broad range of services to the clients, including Monthly Payroll and Monthly accounts, which can contribute tremendously to the smooth functioning of a company. VAT Returns, Corporate Tax Return and Year End accounts/Annual Accounts are some other tasks that are performed by our highly qualified accounting and finance professionals. DNS Accountants are famous throughout the United Kingdom for providing exceptional consultancy services. Wirral is a new strategic location for future businesses and start-ups, and our team members are extremely competent and resourceful providing a superior level of Accounting for Contractors in Wirral. 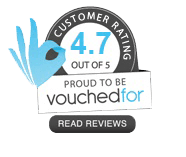 In a Borough like Wirral where companies (especially start-ups and small businesses) find themselves in need of good accountants who can work professionally and provide services online, there is no reason to look further. Face-to-face meetings can also be arranged whenever deemed necessary. tag A system which is used for collecting income tax that is implemented by HMRC (HM Revenue and Customs). Self-Assessment Tax return in most cases is simply known as Tax Return. The government of the UK ensures that companies and individuals who earn income will automatically have tax deducted from their earnings, wages, and savings. Businesses are required to send a report at the end of the year to the HMRC disclosing their income and the source of their earnings. The use of the words “Self-Assessment” indicates that it becomes the duty of the individual to pay his/her taxes—it is a responsibility. Our proficient accountants handle this for you and ensure that you do not have to face any penalties or charges. Wirral is an upcoming region for business and has a huge demand for accountants. DNS Accountants is a group of accounting and finance professionals providing learned Accountants for Contractors in Wirral who provides its customers with nothing less than exemplary services that are up to the mark. Liverpool, Warrington, Stoke on Trent and Chester are the other nearby locations where DNS has made a strong impression on the clients. We are here to help our client grow and prosper.